There is no one-size-fits-all approach when it comes to reaching the 2.5 Billion people around the world who suffer from uncorrected poor vision. But when it comes to providing vision care to rural communities, working with local organisations is nearly always the answer. This is why we partnered with Tribal Health Initiative, to bring sustainable vision care to the remote villages of the Sittilingi valley region in Tamil Nadu, India. Without access to traditional healthcare and skilled professionals, rural communities are often vulnerable to unnecessary health risks, including poor vision. Through our inclusive business arm, 2.5 New Vision Generation (2.5 NVG), Essilor is working to provide under-served communities with access to affordable quality eye care and a few years ago partnered with Dr. Regi George and Dr. Lalitha Regi who, in 1992, started Tribal Health Initiative (THI) hospital. Tribal Health Initiative aims to improve the lives of the tribal communities living in the Sittilingi valley and surrounding hills – a remote area in Tamil Nadu, India – through a variety of healthcare programmes. Community health and skill building programmes are run by 55 passionate and highly trained individuals to contribute to the sustainable growth of the villages. In 2015, Tribal Health Initiative and 2.5 NVG launched a partnership, to introduce eye care into the basic healthcare services provided to people of Sittilingi valley and Kalrayan hills. The partnership began with the training of nurses Madheswari and Vijaya as Eye Mitra. 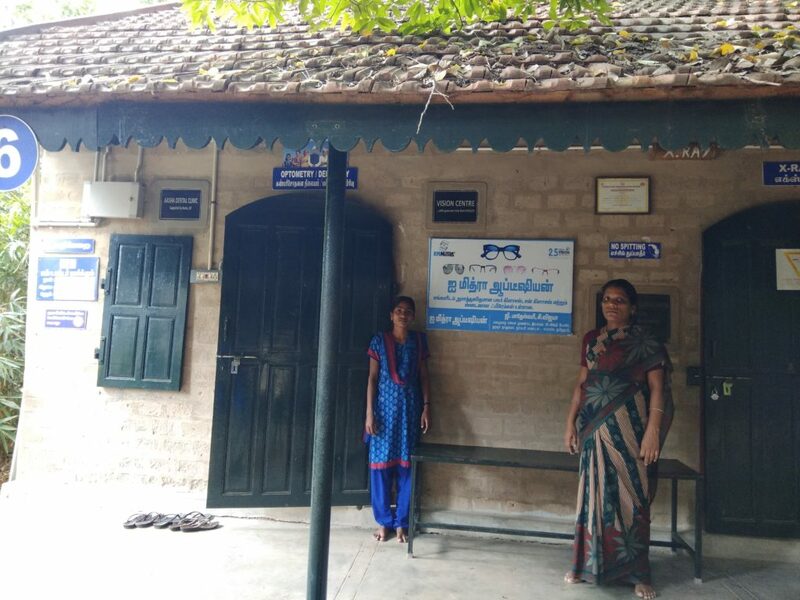 Following their training at the Eye Mitra training centre in the state of Karnataka, Madheswari and Vijaya returned back to the Tribal Health Initiative hospital where one room was dedicated to the provision of primary eye care. 2.5 NVG supported the setup of the hospital vision center providing the necessary instruments and informative promotional materials to help educate local communities on the importance of eye care. Soon after the Tribal Health Initiative vision centre was set up, Eye Mitras, Madheswari and Vijaya saw the positive impact good vision creates. Wanting to increase their outreach, they began travelling to communities to address their vision needs. 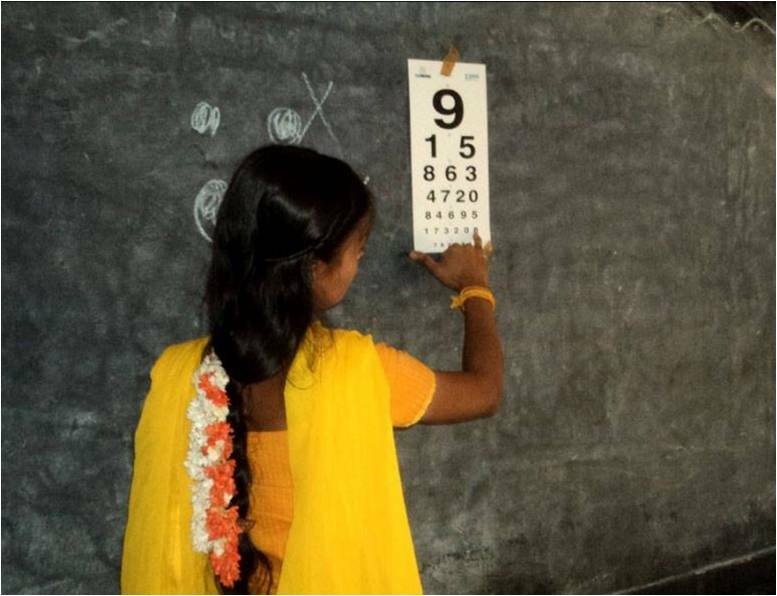 For many in these communities – often so remote they are not even served by public transport – Madheswari and Vijaya’s visit, provided the first opportunity for an eye test and the infinite benefits good vision can bring. 2.5 NVG is Essilor’s inclusive business with the aim to create awareness on the importance of healthy vision and to build affordable and sustainable vision care infrastructure in developing countries. The aim is to provide affordable primary eye care solutions to the last mile, improve individual lives through better vision and consequently, increase the productivity and income of entire communities through skill building and job creation. The Eye Mitra training programme was developed by 2.5 NVG as part of their flagship inclusive business model Eye Mitra. The 12 months training program consists of 2 months classroom training and 10 months on job training. In addition to refraction, edging and mounting of glasses, and primary vision care (including a hospital-referral protocol for customers needing secondary eye care and organizing community outreach activities), Eye Mitra candidates learn about entrepreneurship, product, and sales.